The band "DoReDos" was formed in September 2011, initially the band was called "Art Band" and had a line-up that varied. They started by winning fame in the Northern capital, organizing various events, and actively participating in national and international competitions. 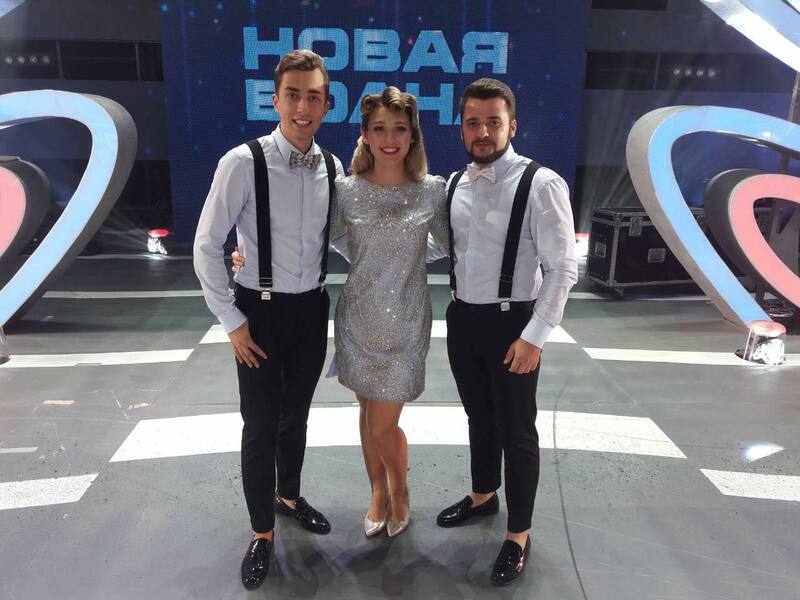 Joining the national stage of the Eurovision 2015 it was decided to change the band's name to "DoReDos", which obviously means the musical notes. At present, the band includes three vocalists: Marina Djundiet, Eugeniu Andrianov and Sergiu Mîța. All three come from the town of Rybnitsa, which is located in Transdniestria. There they met and decided together to form a musical band. Later, they came to conquer the capital, where they graduated from the Academy of Music, Theater and Fine Arts named after G. Muzicescu and continued the concert activities. The band had tours both in Moldova and in the neighboring countries, but also further away: Russia, Ukraine, Australia, Egypt. Eugeniu Andrianov received the Second Prize of the ‘Slavianski Bazaar' International Festival in 2013. In 2014, the DoReDoS band won the George Grigoriu International Pop Music Contest (Romania). Also, the team has become a finalist of the national shortlisting for the Eurovision Song Contest (in 2015, and 2016), and a finalist of the ‘X Factor – Romania' TV project. "DoReDos" is a mobile, young, bright, promising band. It succeeded in conquering the spirits and hearts of the jury of the New Wave Contest, but also the audience in the auditorium and behind the TV screens, offering the fire of happiness on stage, giving all of their invaluable talent. That's why they managed to take the Grand Prix of the New Wave 2017 contest. At home everyone believed in their talent, thereby providing them with the necessary support for a successful performance. The participation of DoReDos in the contest "New Wave 2017" was held under the auspices of the President of the Republic of Moldova, Mr. Igor Dodon, who supported them throughout the competition, assessing their achievements. For the prodigious activity, the result achieved at the "New Wave 2017" Contest, and also for the substantial contribution to the promotion of the favorable image of Moldova abroad, the members of "DoReDoS" were awarded on September 20, 2017 with distinctions by the country's president, Igor Dodon. 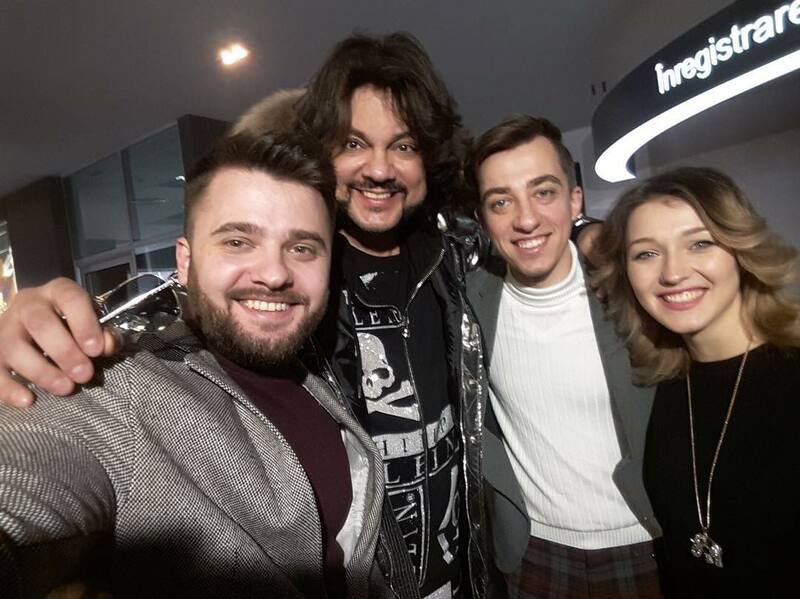 The Civic Merit Medal was awarded to Valeriu Djundiet - impresario of the band, the soloists: Sergiu Mîța, Eugeniu Andrianov and Marina Djundiet were each awarded the honorary title "Artist Emerit". Victory at the contest and the appreciation of their indisputable talent gave them new wings. They are already making plans for the future, they have decided what their debut album will be called: "Visul/The Dream", in honor of the first song of the band "DoReDos", which in the meantime became the favorite song of Moldovan public. The members of the band gained experience, figured out several secrets of show business, found many friends, more fans, received interesting suggestions, including from Russian pop music king Philipp Kirkorov, to participate in the Eurovision, in tandem with him as a songwriter. Marina Djundiet was born on October 15, 1986 in the town of Rybnitsa, Republic of Moldova. Graduated from secondary school. 3 of the town of Rybnitsa, then the Higher Art College of Transnistria named after A. Rubinstein, then graduated from the Academy of Music, Theater and Fine Arts named after G. Muzitsescu in Chișinău. Currently she lives in Chișinău. Marina writes lyrics for the band, also being a soloist. On September 20, 2017, winning together with the band the Grand Prix at the "New Wave" music contest, she was awarded the title of "Honorary Artist" of the Republic of Moldova. She loves nature, animals and sharing positive energy and good vibes with people. Martina doesn't like aggression and hypocrisy and prefers to lead a healthy lifestyle. Eugeniu Andrianov was born on April 2, 1993 in Rybnitsa, Republic of Moldova. He has been practicing music since childhood and has won many prizes at various national and international competitions. He began to sing when he was ten years old: "I really wanted to sing, and the only one who believed in me was my mother," he said. He studied at the Higher Art College of Transnistria named after A. Rubinstein, and then graduated from the Academy of Music, Theater and Fine Arts named after G. Muzitsescu in Chișinău. Currently he lives in Chișinău. He is the soloist of the band "DoReDos". On September 20, 2017, winning together with the band the Grand Prix at the "New Wave" music contest, she was awarded the title of "Honorary Artist" of the Republic of Moldova. The singer loves cars, and also loves to rest in quiet places where he can relax with his thoughts. Sergiu Mîța was born on May 3, 1986 in the town of Rybnitsa, Republic of Moldova. His music teacher noticed his talent when Sergiu was in the third grade. In his hometown, the singer graduated from the Lyceum Evrika and Music School before moving to Chisinau where he had graduated from the Academy of Music, Theater and Fine Arts named after G. Muzitsescu. Currently he lives in Chișinău. He is the soloist and composer of the group "DoReDos". On September 20, 2017, winning together with the band the Grand Prix at the "New Wave" music contest, she was awarded the title of "Honorary Artist" of the Republic of Moldova. Sergiu likes to spend time watching meaningful films. Musical preferences of the creative trio are diverse, from the songs performed by Nikolai Noskov and Leonid Agutin to the works of S. Wonder, Pink and Sting. "We like different artists. We value their musical thinking, creativity and waves of positive energy! It inspires us. We want to move forward to our lofty objectives. We want to record our album, attain love of the audience and become the famous artists"
Eugeniu didn't like music lessons at school. He could not stand it when the others sang out of tune. Sergiu fully agrees with Eugeniu. Marina liked geography and handicrafts, and all other lessons were ranked as the least favorite. Sergiu has got a beautiful voice, a lyrical tenor. His music teacher noticed the child's talent when Sergiu was in the third grade. Eugeniu began to sing with a high baritone when he was ten years old, "I really wanted to sing, and the only one who believed in me was my mother." Marina's timbre is soprano. She grew up in the musician's family, "Music has been around me since childhood, and I did not hesitate to choose this profession." The artists admit that they believe in the help of the Supreme Forces, "We go to the church before any important event. Faith is our talisman." All of the three members dreamed of becoming musicians since childhood. They love films directed by L. Gaidai, E. Ryazanov, N. Mikhalkov. Sergiu can cook. His specialties are crabstick salad and chicken breast baked in the oven with a special sauce. Sergiu keeps the recipes secret! Marina likes to cook Italian pasta, lasagna and hominy, Moldavian national dish. Eugeniu can make the best tea for everyone. The Moldavian trio spends every day with a rhythm in their hearts, with a melody in their souls and with music in their life in general! They continue to learn singing, and improve their dancing skills. They are afraid of dentists and dead calm in their careers. They earned their first money for performing at the wedding celebrations. All of the three artists are purposeful people, "In order to succeed, one needs a goal and a strategic plan. And, of course, a staunch belief in dream, perseverance and work. 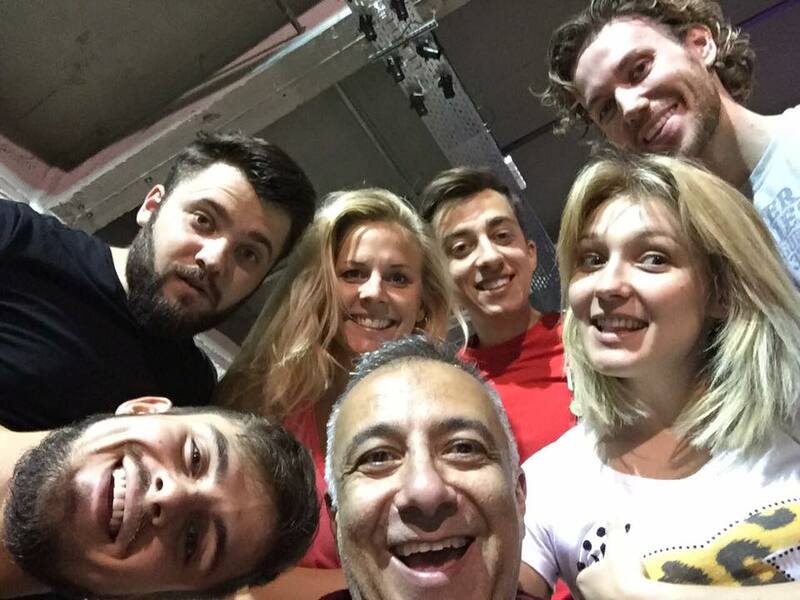 Moldovan band DoReDoS have started rehearsals of their Eurovision performance in Athens. As earlier reported, DoReDos will be joined by Erik Høiby, Sara Linnea Larsson (Sara Li, participant of Melodifestivalen 2012 with Björn Ranelid) and Konstantin Vecherskiy (of Philipp Kirkorov backing team). Staging and styling of the performance is made by Fokas Evangelinos and Dimitrios Masouras. Vocal coach Alex Panayi B. 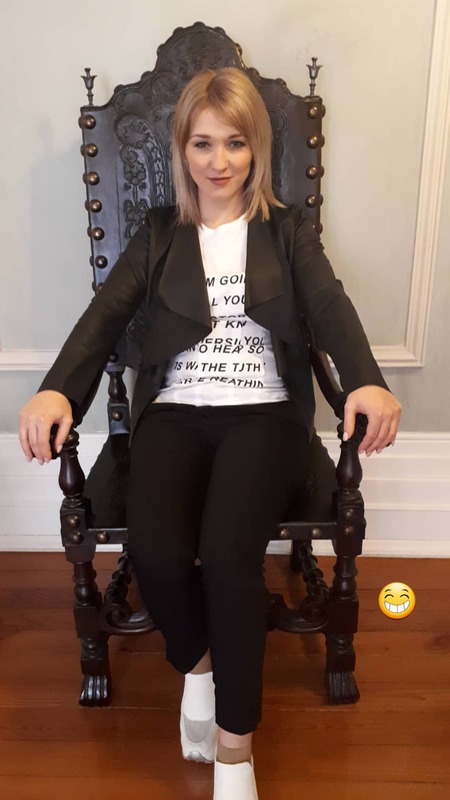 Representatives of Moldova DoReDoS have been filming their Eurovision postcard at Hotel Palace of Vidago, located in the civil parish of Vidago, Arcossó, Selhariz e Vilarinho das Paranheiras, in the municipality of Chaves, Portuguese district of Vila Real. 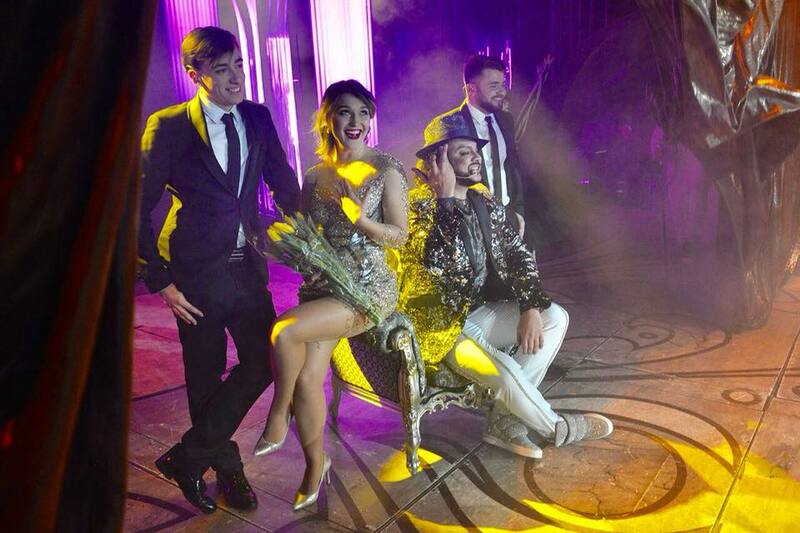 Moldovan singers posted various images from the hotel and surroundings in the social networks. Designed last century, during the reign of King Carlos I, the Vidago Palace Hotel was opened for the first time in 1910! With distinction, as one of the Leading Hotels of the World, the hundred-year old Palace now provides a luxury service of excellence and comfort. Inside the hotel, you are invited to enjoy one of the 70 magnificent Rooms & Suites, to savour the gastronomy of the majestic Grand Ballroom and to relax in the modern Thermal Spa, where the mineral water of Vidago – recognised for its exceptional therapeutic qualities – reigns supreme! In the park, the 18-hole Golf Course is ideal for a few rounds. Lastly, take a trip through this enchanted universe with a visit to the traditional springs or a bicycle ride along the many trails that provide a fantastic opportunity to observe the local wildlife. 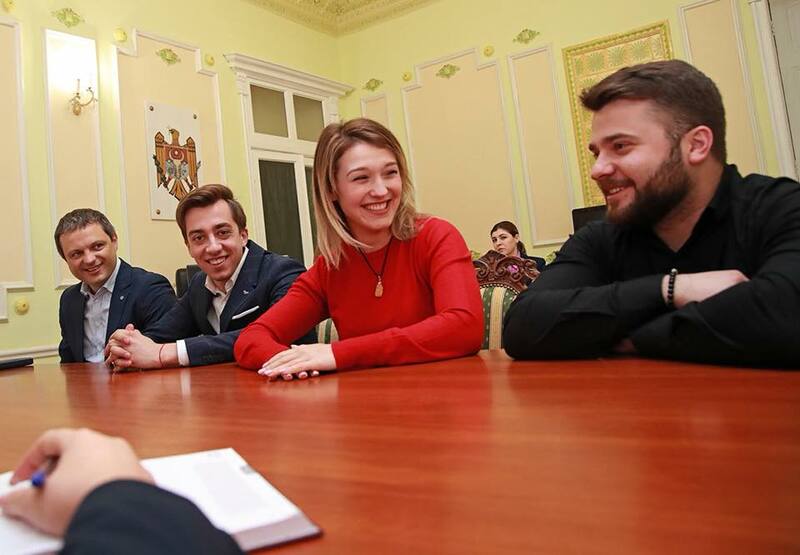 "I met with members of the DoReDoS group who will be representing the Republic of Moldova at the Eurovision Song Contest 2018 in Lisbon, Portugal. They talked about cooperation with well-known Russian performer Philip Kirkorov, as well as about the preparation for the final stage of the competition. 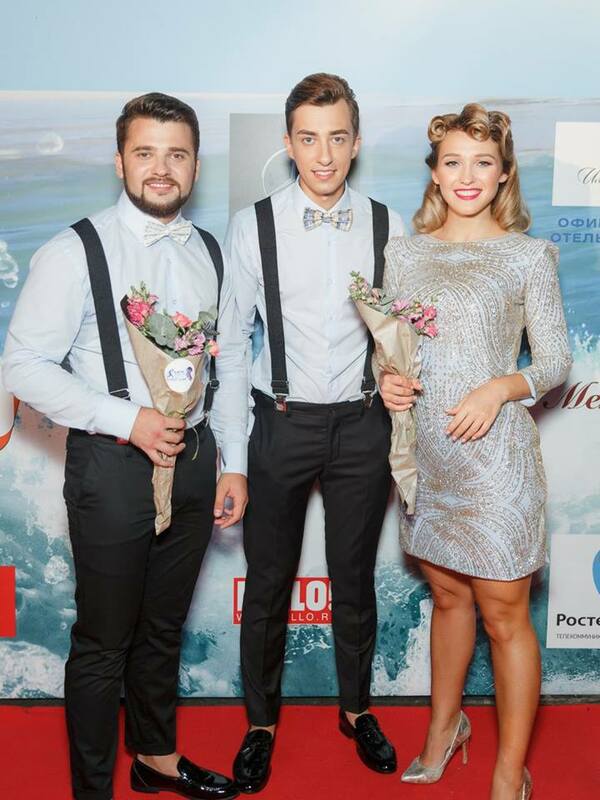 Not long ago, the band has returned from the Baltics, from a promotional tour of the song "My lucky day", which they will be performing within the framework of the contest. I noticed a very warm welcome of the Moldavian performers on the part of the organizers and spectators. I welcomed the initiative of the DoReDos band to organize a tour in countries where the Moldovan Diaspora mainly resides. I thanked the performers for the promoting of the image of our country abroad, and wished them success in the competition. Also, I noted that I will continue to support and promote the young talents of the Republic of Moldova. 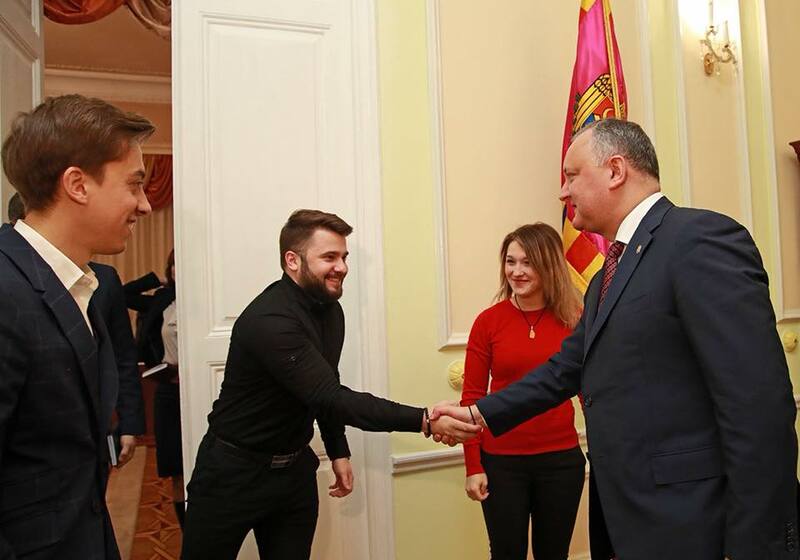 I remind you that the DoReDoS band has performed under the patronage of the President of the Republic of Moldova in the qualifying round of the Eurovision 2018, as well as at the International Contest of Young Performers "New Wave-2017" in Russia, winning first place in both competitions", wrote the President. Interviews and rehearsal footage from the Moldovan national preselection O Melodie Pentru Europa. First Eurovision party - "SunStroke Project and the participants of Eurovision" was held in Moldova's capital, Chișinău, on 14 November. Joining SunStroke Project were former ESC 2017 competitors Artsvik (Armenia), Dihaj (Azerbajan), Slavko Kalezić (Montenegro), JOWST (Norway), Alex & Ilinca (Romania), Manel Navarro (Spain), Robin Bengtsson (Sweden), Timebelle (Switzerland), Nathan Trent (Austria), Imri (Israel). The show was hosted by Timur Miroshnychenko, who was one of the presenters of the Eurovision Song Contest 2017 in Kyiv, Ukraine. The concert took place at the National Palace Concert Hall "Nicolae Sulac". Event was organized by Bisconcert and partners. On 1 December Moldovan broadcaster TRM has launched national selection process for the Eurovision Song Contest 2018. Entrants to participate in the national selection can submit their participation dossiers by January 15, 2018, 17:00. Entries are accepted online via e-mail eurovision@trm.md or at TV Moldova 1 address Hânceşti str, 64. Complete regulations are available here. The list of 28 songs and artists that will participate in the Moldovan selection O Melodie Pentru Europa 2018, have been released on 16 January. They can be heard here. Representative of Moldova will be chosen in four stages: internal hearings (cancelled), live auditions, national semifinal on 22 February (cancelled) and national final on 24 February. At the first stage jury was supposed to listen to the submitted entries and will determine not more than 35 songs to qualify to the next stage. However, since only 28 entries have been received this stage has been skipped. All acts will be invited to the live auditions. At this stage backing vocals can be prerecorded, costumes or the choreographic concept are not required, and the base criterion for selection will be live vocal performance and the song itself (melodic line and originality). Following the live auditions for the Moldovan preselection O Melodie Pentru Europa professional jury has recommended inclusion to the next stage of the preselection of 16 entries. 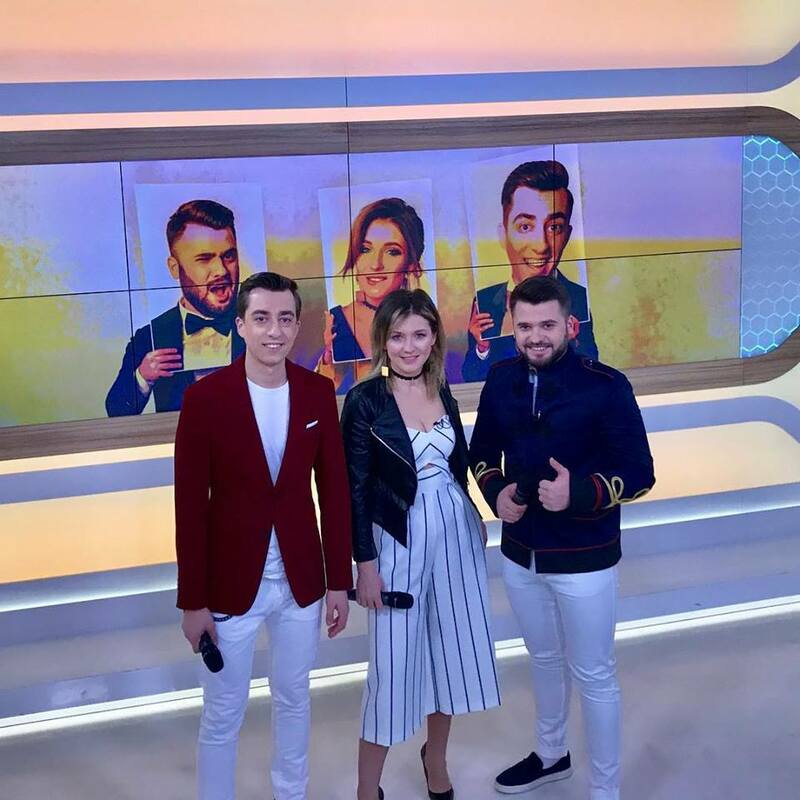 National broadcaster Teleradio Moldova has decided that all of them will compete in the one national final show on Saturday 24 February, thus cancelling semifinal procedure. In live stage winners will be decided on 50/50 scheme between jury and the televoters. In the event of tie jury vote will prevail. Группа "DoReDos" была сформирована в сентябре 2011 года, первоначально группа называлась "Art Band" чей состав варьировался. Они начали завоевания славы в северной столице, организовывали различные мероприятия и активно принимали участия в национальных и международных конкурсах. Таким образом, при участии в национальном отборе Евровидения 2015 было решено изменить название группы на "DoReDos", что, очевидно, означает музыкальные ноты. В настоящее время группа состоит из трех вокалистов: Марина Джундиет, Евгений Андрианов и Сергей Мыцэ. Все трое родом из города Рыбница. Там они встретились и решили вместе сформировать музыкальную группу. Позже они приехали покорять столицу, где они окончили Академию музыки, театра и изобразительных искусств "Г. Музыцэску", продолжая концертную деятельность. Турне проводились как в Молдове, так и в соседних странах, но и в более отдаленных странах как: Россия, Украина, Австралия, Египет. Евгений Андрианов, в 2013 г. стал обладателем Второй премии Международного фестиваля "Славянский Базар". В 2014 г. группа DoReDoS победила на Международном конкурсе эстрадной музыки George Grigoriu (Румыния), также коллектив — дважды финалист национального отбора конкурса "Евровидение" (2015, 2016 г.г. 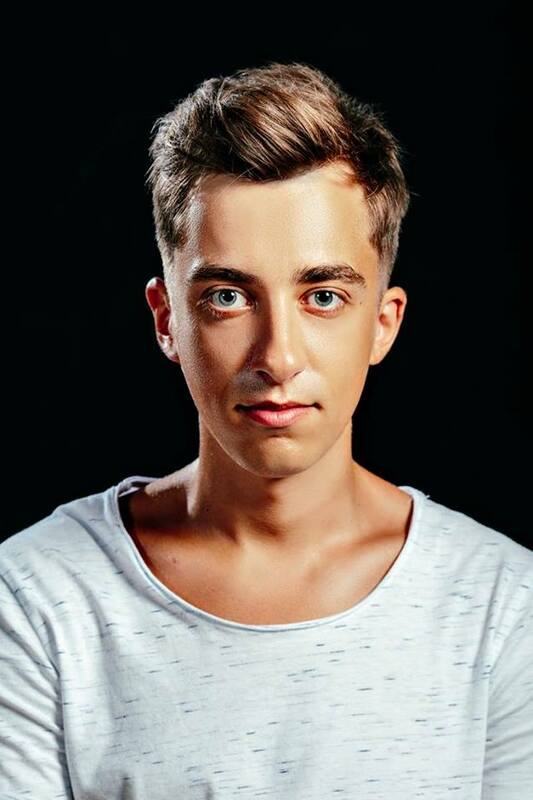 ), финалист телевизионного проекта "X Factor – Румыния". "DoReDos" - мобильная, молодая, яркая, многообещающая группа. Именно такой Молдова ее и узнала. Но группе удалось не только завоевать и покорить сердца жюри конкурса "Новая волна", а также зрителей в зале и за экранами телевизоров, освещая и даря огонь счастья на сцене. Именно поэтому им удалось заполучить Гран-при конкурса "Новая Волна-2017". Важно то, что дома все верили в их талант, тем самым обеспечивая им необходимую поддержку для успешного выступления. Участие "DoReDos" в конкурсе "Новая Волна 2017" проходило под эгидой Президента Республики Молдова г-на Игоря Додона, который поддерживал их на протяжении всего конкурса, оценивая их достижения. За потрясающую творческую деятельность, достигнутую на конкурсе "Новая волна 2017", а также за значительный вклад в продвижение имиджа Молдовы за рубежом, члены "DoReDoS" были награждены 20 сентября 2017 года наградами от президента страны Игоря Додона. Медаль за гражданскую заслугу была присуждена импресарио Валериу Джундиет, солисты: Серджиу Мыцэ, Евгения Андрианов и Марина Джундиет были удостоены почетного звания "Artist Emerit". Победа на конкурсе и признание их несомненного таланта их окрылило. Они уже строят планы на будущее, они решили, что их дебютный альбом будет называться: "Visul/Сон", в честь первой песни группы "DoReDos", ставшей любимой песней молдавской публики. Участники группы получили опыт, вычислили несколько секретов шоу-бизнеса, обрели много друзей, больше поклонников, получили интересные предложения, в том числе от российского поп-короля Филиппа Киркорова, для участия в Евровидение, в тандеме с королем поп-музыки. Марина Джундиет родилась 15 октября 1986 года в городе Рыбница, Республика Молдова. Окончила среднюю школу №. 3 из города Рыбница, затем Высший художественный колледж Приднестровья "А. Рубинштейн ", затем окончила Академию музыки, театра и изобразительных искусств им. "Г. Музицеску" в Кишиневе. В настоящее время она живет в Кишиневе. Марина сочиняет тексты для группы, будучи солисткой. 20 сентября 2017 года, выиграв вместе с группой Гран-при на музыкальном конкурсе "Новая Волна", она была удостоена звания "Почетного Артиста" Республики Молдова. Она любит природу, животных и делится позитивной энергией с людьми. Марина не любит агрессию и лицемерие и предпочитает вести здоровый образ жизни. Евгений Андрианов родился 2 апреля 1993 года в городе Рыбница, Республика Молдова. Практикует музыку с детства и имеет много призов, выигранных на различных национальных и международных конкурсах. Петь он начал в возрасте 10 лет, и сначала в него верила только его мама. Учился в Высшем художественным колледже Приднестровья " А. Рубинштейн", затем окончил Академию музыки, театра и изобразительных искусств им "Г. Музицеску" в Кишиневе. В настоящее время он живет в Кишиневе. Он солист группы "DoReDos". 20 сентября 2017 года, выиграв вместе с группой Гран-при на музыкальном конкурсе "Новая Волна", он был удостоен звания "Почетного Артиста" Республики Молдова. Певец любит автомобили, а также любит отдыхать в тихих местах, где он может расслабиться своими мыслями. Серджиу Мыцэ родился 3 мая 1986 года в городе Рыбница, Республика Молдова. Его учитель заметил талант мальчика, когда Сержиу был в третьем классе. В своем городе он закончил Лицей Эврика и музыкальную школу, прежде чем перебрался в Кишинев, где окончил Академию музыки, театра и изобразительных искусств им. "Г. Музицеску". В настоящее время он живет в Кишиневе. Он солист и композитор группы "DoReDos". 20 сентября 2017 года, выиграв вместе с группой Гран-при на музыкальном конкурсе "Новая Волна", он был удостоен звания "Почетного Артиста" Республики Молдова. Сержиу любит проводить время с просмотром фильмов со смыслом. Музыкальные пристрастия творческого трио разнообразны – от песен в исполнении Николая Носкова и Леонида Агутина до творчества S. Wonder, Pink и Sting: "Нам нравятся разные артисты, нам ценны их музыкальное мышление, творческий потенциал и волны позитивной энергии! Это нас вдохновляет. Мы хотим двигаться выше и выше: записать альбом, получить любовь зрителя и быть востребованными артистами". У Евгения нелюбимым предметом в школе был урок музыки: он не мог выносить, когда другие детонировали (фальшивили). Сергей полностью солидарен с Евгением. Марине нравились география и труд, а остальные относились к разряду НЕлюбимых. Сергей обладатель красивого тембра – лирического тенора: талант ребенка заметил учитель музыки в третьем классе. Евгений с высоким баритоном начал петь в десять лет: "Я очень хотел петь, и единственный, кто поверил в меня — мама". Сопрано Марина выросла в семье музыканта: "Музыка была со мной повсюду с самого детства, и с выбором профессии я не раздумывала". Артисты признаются, что верят в помощь Высших сил: "Перед любым важным событием ходим в церковь. Вера и есть наш талисман". Все трое с детства мечтали стать музыкантами. Обожают фильмы режиссеров Л. Гайдая, Э. Рязанова, Н. Михалкова. Сергей умеет готовить, его фирменные блюда — салат из крабовых палочек, грудка, запеченная в духовке под фирменным соусом: рецепты Сергей держит в тайне! Марина любит готовить итальянскую пасту, лазанью и мамалыгу — молдавское национальное блюдо. Евгений признаётся, что лучше всех может заваривать чай. Каждый день у молдавского трио проходит с ритмом в сердце, с мелодией в душе и в целом — с музыкой по жизни! Продолжают учиться петь и совершенствовать танцевальные навыки. Боятся зубных врачей и штиля в карьере. Первые деньги были заработаны на выступлениях во время свадебных торжеств. Все трое – люди целеустремленные: "Чтобы добиться успеха, человеку нужны цель и стратегический план. И, конечно, непоколебимая вера в мечту, упорство и труд". Молдавская группа DoReDos приступила в Афинах к репетициям своего номера для Лиссабона. Как ранее сообщалось, в нем принимают участие Erik Høiby , Sara Linnea Larsson (Сара Ли, участница Мелодифестивалена 2012 с Бьорном Ранелидом) и Константин Вечерский. Над номером работают греческие постановщики Фокас Евангелинос и Димитриос Масурас. Педагог по вокалу Алекс Панайи. Отель Palace of Vidago в муниципалитете Шавиш стал местом съемки посткарда представителей Молдовы на Евровидении 2018 DoReDos. Молдавские музыканты с радостью осмотрели здание, построенное в 1910 году, а также все его окружение. Они побывали и в винных погребах, и на поле для гольфа, и даже попробовали посидеть на троне. Отель Vidago Palace 5* был открыт в 1910 г., в год установления Первой Португальской Республики. Король Карлос I пожелал, чтобы отель превратился в шикарный SPA-курорт, ничем не уступающий другим европейским курортам. В 1936 г. Vidago Palace стал домом для гольф-клуба на 9 лунок, который спроектировал известный архитектор Филипп Маккензи Росс. Во время Второй Мировой войны отель стал одним из самых популярных мест отдыха. После 4 лет реновации, отель вновь открывается для гостей в 2010 г., по-прежнему предлагая гостям романтическую атмосферу периода Прекрасной эпохи. Vidago Palace снова играет ведущую роль в сфере гостинничных услуг Португалии, устанавливая стандарты комфорта и роскоши XXI века. Участники группы DoReDos встретились с президентом Молдовы Игорем Додоном. "Встретился с участниками группы “DoReDoS”, которые представят Республику Молдова на международном песенном конкурсе Eurovision Song Contest 2018 в Лиссабоне, Португалия. Поговорили о сотрудничестве с известным российским исполнителем Филиппом Киркоровым, а также о том, как идет подготовка к заключительному этапу конкурса. Не так давно участники группы вернулись из Прибалтики, из турне по продвижению песни “My lucky day”, которую они собираются исполнить в рамках конкурса. Оценил очень теплый и радушный прием молдавских исполнителей со стороны организаторов и зрителей. Приветствовал инициативу группы “DoReDoS” организовать турне в странах, где в основном проживают представители молдавской диаспоры. Поблагодарил исполнителей за то, что продвигают имидж нашей страны за рубежом, и пожелал успехов в конкурсе. Также, отметил, что продолжу поддерживать и продвигать молодые таланты Республики Молдова. Напоминаю, что группа “DoReDoS” выступала под патронатом Президента Республики Молдова в отборочном конкурсе Eurovision 2018, а также Международном конкурсе молодых исполнителей «Новая Волна-2017» в России, завоевав на обоих конкурсах первое место", отметил президент Молдовы. Представлены первые фотографии со съемок видеоклипа группы DoReDos. Напомним, что съемки прошли на острове Санторини в Греции. Интервью и видеозаписи репетиций молдавского национального отбора O Melodie Pentru Europa. Первая вечеринка Евровидения - "SunStroke Project и участники Евровидения" прошла в столице Молдовы Кишиневе 14 ноября. Вместе с Sunstroke Project выступили бывшие конкурсанты Евровидения 2017 Artsvik (Армения), Dihaj (Азербайджан), Slavko Kalezić (Черногория), JOWST (Норвегия), Alex & Ilinca (Румыния), Manel Navarro (Испания), Robin Bengtsson (Швеция), Timebelle (Швейцария), Nathan Trent (Австрия), Imri (Израиль). Ведущим шоу стал Тимур Мирошниченко, который был одним из ведущих конкурса Евровидение 2017 в Киеве. Концерт прошел в Национальном дворце им. Н.Сулака. Организатором шоу стала компания Bisconcert и ее партнеры. 1 декабря Молдавская телекомпания ТРМ начала процесс национального отбора на Евровидение 2018. Кандидаты на участие в национальном отборе могут представить свои заявки до 15 января 2018 года, 17:00. Материалы принимаются по электронной почте eurovision@trm.md или по адресу TV Moldova 1 Hânceşti str, 64. Полный текст правил доступен здесь. 16 января телевидение Молдовы объявило список из 28 артистов и песен, которые примут участие в национальном отборе O Melodie Pentru Europa 2018. Прослушать их можно здесь. Представитель Молдовы будет выбран в четыре этапа: внутренние прослушивания (отменены), живые прослушивания, национальный полуфинал 22 февраля (отменен) и национальный финал 24 февраля. На первом этапе жюри должно было заслушать представленные материалы и определить не более 35 песен для выхода следующий этап. Однако, поскольку было получено только 28 заявок, эта стадия была отменена. Все исполнители будут приглашены на живые прослушивания. На этом этапе бэк-вокалы могут быть записанными, костюмы или хореографическая концепция не требуются, а базовым критерием отбора будет живое вокальное исполнение и сама песня (мелодическая линия и оригинальность). По итогам живых прослушиваний кандидатов на участие в молдавском отборе O Melodie Pentru Europa, профессиональное жюри рекомендовало включение в следующий этап отбора 16 заявок. Национальный вещатель Телерадио-Молдова принял решение о том, что все они сразятся в одном финальном шоу в субботу, 24 февраля. В телевизионном этапе победители будут определены по схеме 50/50 между жюри и телезрителями. В случае равенства голосов фаворит жюри будет иметь преимущество. Ты чувствуешь себя также как и я?